There is plenty of light seasonal adventure, local culture and incredible tranquility to enjoy while visiting this empty stretch of beach as well as several day trips in the more developed tourist towns of Mal Pais and Samara for those who like to get out and explore. Your hosts are on site to help plan all activities and make daily suggestions. Kick back, relax and play as much, or as little, as you like – we will handle all of the details for you! Activities & Packages are available during the High & Green Season, weather & space depending. Some require a 20-minute to one-hour very scenic drive and are considered “Day Trips” to the neighboring towns of Mal Pais & Samara. 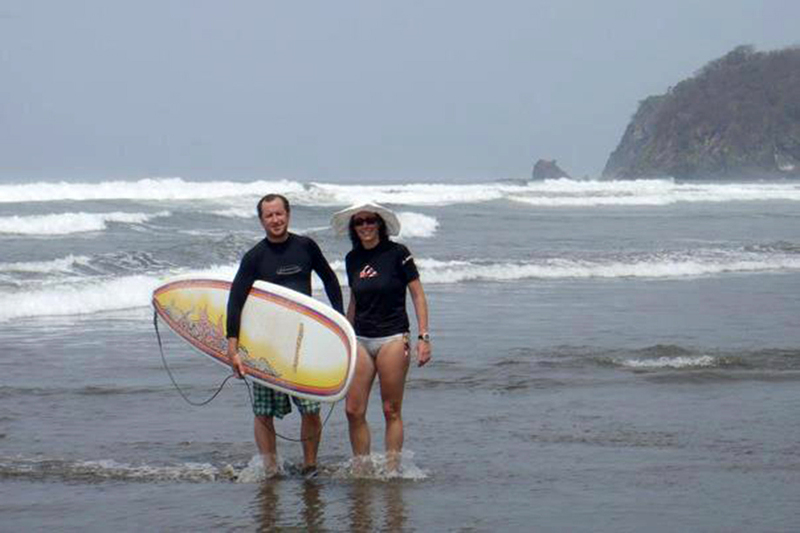 Private Surf Instruction with certified bi-lingual instructors on the beach at Locos Cocos! Perfect for beginners, your instructors take the time to educate novices to the sport and our guests are always thrilled to be able to rent the boards for the duration of their stay, many have multiple lessons and leave as amateurs! $35 US 1hr Daily board rentals available. Fish on a typical “Panga” in-shore along the coast for a few hours and catch your dinner! Hourly rates starting at $50 and we will provide you with a cooler and ice to carry drinks and hopefully your catch at the end of the day. Off-shore excursions for Sail Fish & Dorado, full and half day, starting at $800 with professional captain on a 31 Palm Beach with state of the art electronics, tower, fighting chair, outriggers, top of the line tackle, live well, and plenty of shade. Perfect for the serious or novice fisherman. A cooler with lunch and beverages is included on full day charters. Beverages and snacks for half day. $50+ US / hr Panga, cooler. Professional captain, tackle rental, lunch, beverages. Half-day fishing for some of the hardest fighting fish (Rooster, Yellow Fin Tuna, Mahi Mahi) in the open waters off the Pacific Coast in a 24 foot Panga under a shade tarp. It doesn’t get any better than this. You are almost certain to see dolphins all year round and the occasional humpback whale during the second half of the year. 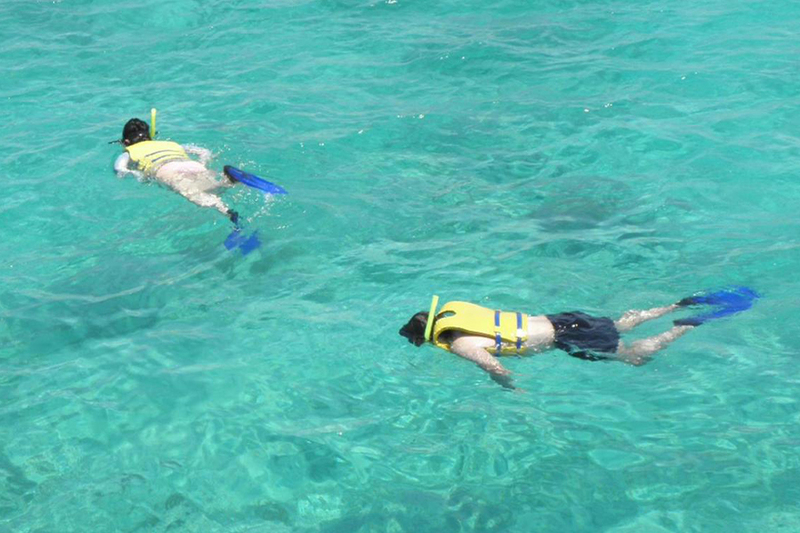 $55 US per person Professional captain, tackle rental, and snorkeling equipment rental. A twenty-minute paddle from Samara Beach and you will arrive at Chora Island known for its beautiful white sand beach. Not only a perfect place for snorkeling with waters filled with colorful tropical fish, this small island is home to 11 species of birds and an abundance of reptiles. Equipment rental, experienced and bilingual guides, fresh fruits and drinks. This is a full day trip from Cristal Azul but guests have the opportunity to dive in an area considered by many to have the most abundant display and collection of colorful, tropical fish. Depending on the tides, guests drive to Montezuma via the beach road and take a 45-minute boat ride to Tortuga Island. Along the way there is a great chance to see dolphins and your guides will point out a few known landmarks en route as well. Upon arrival, beach goers and the cook will be dropped off and divers will head out to the front of the island approximately 45 min – 1 hour. After a delicious lunch of fresh grilled fish and salad, there is time for more diving or to explore the trails throughout the island. Climb to the top and see all of the Islands that are present in the Golfo Nicoya. Transportation, guide, equipment rental and lunch. Come and experience the beauty of the seabed and take a peak at the many schools of fish of all different colors, manta rays, sharks, turtles and dolphins! Treat yourself to a special and exciting tour carefully put together by well-trained PADI-Approved staff. 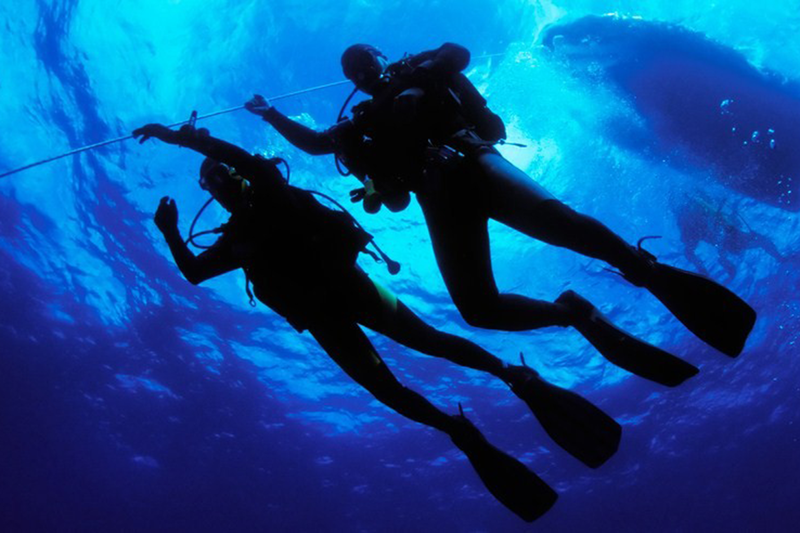 You will have access to several diving spots around Samara and Carrillo. The boats are adapted to be the most comfortable and to provide a secure experience for every customer. The large T-Top can be lowered at your convenience whenever you feel like taking a sun bath! Cookies, snacks, water, juice and soft drinks will be provided. Full day trips include a lunch. English and Spanish spoken. for 2 dives in one day PADI-Approved guide, equipment rental, snacks, beverages. for 2 dives in one day PADI-Approved instructor/guide, insurance, equipment rental, training in pool and open water dive, snacks, beverages. Starting 3km up the Ora River, a local guide will take you on a relaxing 3-hour sightseeing adventure through the dense tropical forest vegetation and thick mangroves along the banks until arrival at Camaronal Beach. Quietly observing birds such as Cormorants and Roseate spoonbills, Howler (Congo) and White-faced monkeys, Iguanas and and more! Kayak rental, bilingual guide and snacks. An experienced bilingual captain/guide will share the beauty and natural history of the local mangroves on the area. An abundance of fowl, marine and wildlife await you as you sit back and enjoy a leisurely 3 hour tour with intimately immersed in the jungle and surrounded with lush, tropical beauty. Price depends on number in party, please inquire. Bilingual guide/captain and beverages. Challenge yourself as you paddle through fun & safe rolling waves and then play around in tranquil waters! You’ll receive a thorough safety lesson and get fitted for your equipment — helmet, life jacket and paddles. Practice with your guide and then enjoy a beautiful 2.5-hour Stand Up Paddle trip to Isla Chora or around the bays of Samara Beach and Carrillo Beach. River and ocean SUP available. A flashlight in hand and a bilingual guide by your side, you’ll be led along forest trails on a two hour hike as you search for insects, reptiles, amphibians, mammals and more! The transition from day to night in the dry tropical forest is a powerful shift and a time when more than 60% of local wild life becomes active. Bilingual guide and walking stick rental. 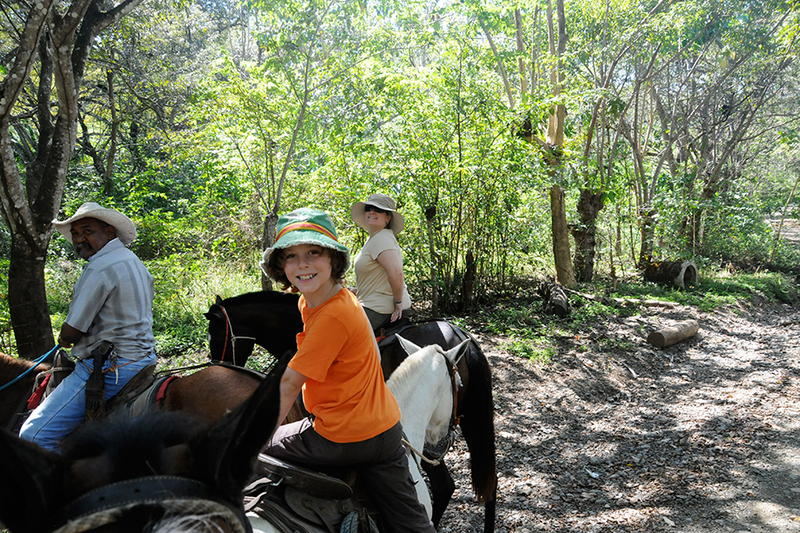 A great way to explore the local forests, beach and hills guests enjoy a three-hour guided tour as they sit back and take in the beauty of this area. Incredible views, empty beaches and stunning sunsets are great back-drops to stroll through paradise. This hike will take guests to a beautiful waterfall along the Rio Blanco where you will enjoy the pristine paradise and a refreshing swim in the clear crisp waters. A delicious picnic lunch is served in the dry tropical rainforest providing ample time to lounge and enjoy the solitude. Bring your binoculars and camera! Price depends on number in party, please inquire. Bilingual guide, walking stick rental and gourmet picnic lunch. The Cabo Blanco Nature Reserve is located at the extreme southern tip of the Nicoya Peninsula and accessible via the “Beach Road” during the dry season, depending on the Tides. It is one of the most scenically beautiful areas of Costa Rica and holds a special place in the history of National Parks in Costa Rica as it was the country’s first protected area, established in 1963. Due to the fact that the park is located in a transition area between the dry and wet forest, there is ample diversity in the flor and fauna as well as the local wildlife that enjoys the 1,172 hectares of protected and preserved lands. 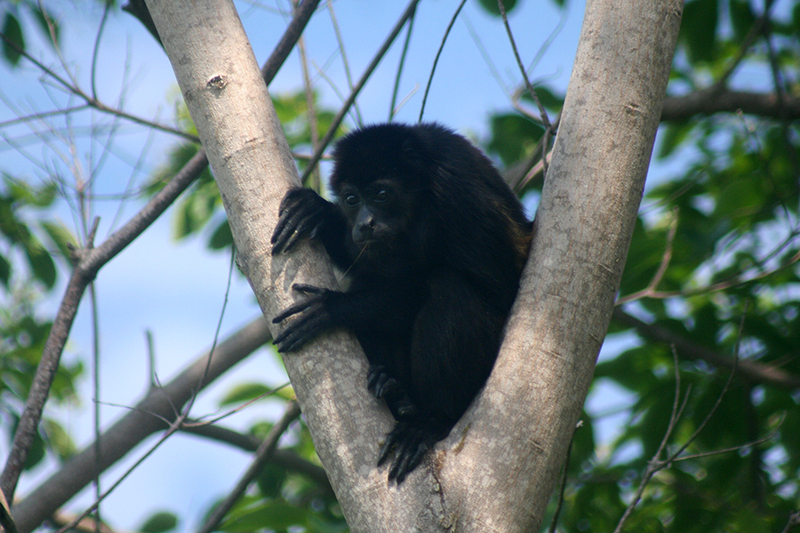 The dry tropical rainforest of Guanacaste has abundance of wildlife and a variety can be seen and heard at any moment not only here on the property but in the overall area. Take a private guided tour through the trails of the hills in search of tropical species like Trogons , Toucans, Motmots, Antshrikes and Manakins or down by the estuary that abounds with Egrets, Herons, Kingfishers and numerous other birds and is also surrounded by dense mangroves where migrant Warblers and other songbirds can be found. 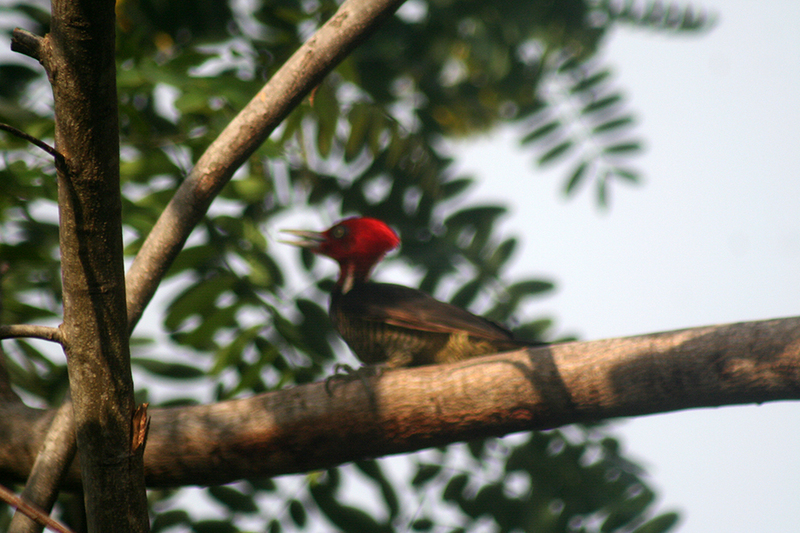 Bilingual guide, walking stick rental and Cost Rica Birds Field Guide rental. Local instructor Kelly Jones is trained in Ashtanga, Hatha, Restorative Yoga, and most commonly teaches a Vinyasa Flow-styled class. Private Yoga classes are available at Cristal Azul to all ages and all levels of practice. During the months of December through April, enjoy open Yoga classes on the beach at Locos Cocos! Yoga instructors visiting Cristal Azul will often host classes during their stay with us. Soar through the trees and experience the tropical forest from the viewpoint of butterflies, monkeys, iguanas, birds, and the rest of the tree dwellers. A family-owned company with a commitment to the local community and environment has created a fun and interesting three-hour tour along 12 platforms and thrilling rappel to finish! Experienced guides, professional equipment and a commitment to “child-friendly” guiding providing safety and fun for everyone – even very small children. Enjoy a snack break while overlooking the ocean. Guide, equipment rental and snacks. Soar high over Playa Samara and Carrillo Beach and down to Playa San Miguel with this very unique experience. Fly with the birds and look over the sea and spot sharks, giant mantas, dolphins, coral reefs, buzz the beaches and soar above mountains and much, much more. Fly over the oceans and see sharks, whales and giant mantas. Volcano trips available. Bring your camera, sunglasses and sun screen. English, Spanish, German speaking pilots available. 20 minutes for $110 US per person30 minutes for $150 US per person60 minutes for $230 US per person Professional pilot. Inaugurated in 2003, this innovative program features the collaborative work of established Costa Rican artists and emerging local talent. Brilliant murals and intriguing sculptures grace the very walls and open spaces that conform the village’s infrastructure in a bold outdoor display of identity. Today, there are over 60 men, women, and youngsters involved in one of seven art groups in Costa Rica. Original pieces produced by local Artisans who have taken part in workshops sponsored by the Islita Art Museum are proudly displayed and sold at the Casa Museo, a gallery, studio, and gift shop complex where travelers have a chance to meet and greet community artists. Guaitil is a small community located at the base of the foot of hills, near the road connecting the cities of Santa Cruz and Nicoya, a few hours North of Cristal Azul. It is home to a major craft center in the country, where ceramic work is still being done is ways similar to those used by Chorotegas, an indigenous group that exercised dominion over territories between Lake Nicaragua and the Nicoya Peninsula. We can arrange to have a guide meet you in Guatil to spend a few hours with you and translating on your behalf with the artisans as you shop and learn about this unique and very traditional pottery. There is no charge to walk through the community, they do hope that you will purchase something of course. 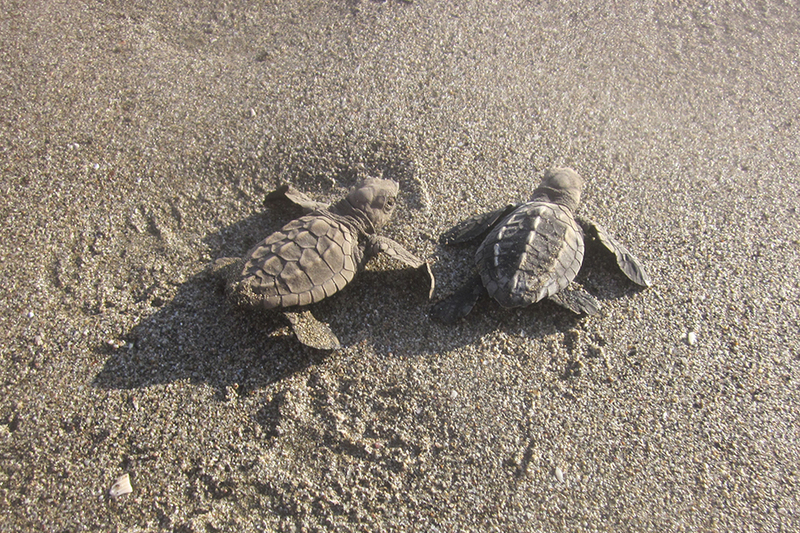 During the months of June – December, Playa San Miguel becomes home to the Olive Ridley Sea Turtles who come ashore at night to lay their eggs. 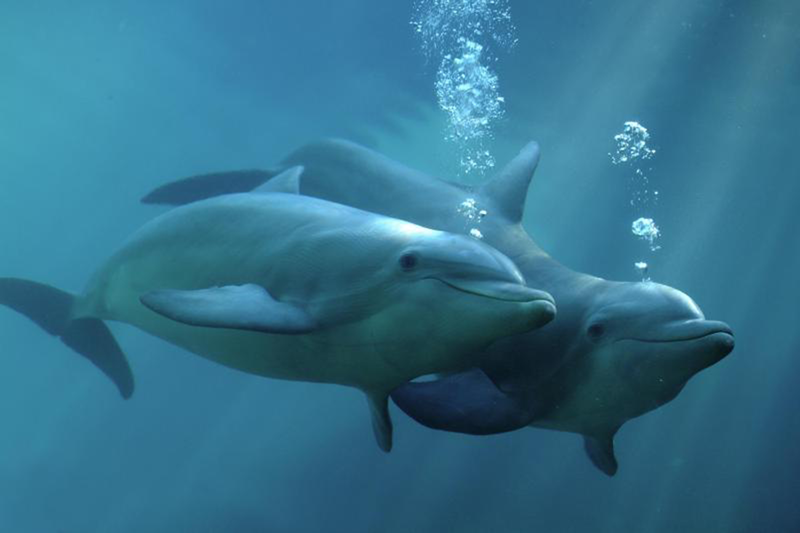 PRETOMA, a Costa Rican non-profit NGO founded in 1997 is a marine conservation and research organization working to protect ocean resources and promote sustainable fisheries policies in Costa Rica and Central America. They host volunteers throughout the season who patrol the night at beach to protect the nests, collect the eggs and move them into a hatchery where they can be protected until they can be safely released into the ocean. Guests have the opportunity to take part in a night patrol or visit the hatchery during the day for a guided tour and possibly take part in a hatchling release! Launched in 1982, the ARA Project is dedicated to saving Costa Rica’s two native Macaws; the Great Great & The Scarlet Macaw. Over twenty years later Ara is now staffed by a dedicated group of scientists, administrators, and volunteers who have successfully reintroduced close to a hundred red and green Macaw specimens in three wildlife release sites in Costa Rica. Islita is home to the program’s headquarters and the resort recently donated a large plot of land, a specialized aviary cage, living quarters for a biologist, and the biologist’s wages. The recently- inaugurated Lapa Lookout is an education and viewing center where guests can learn and participate in the recovery and release efforts. Home to an abundance of local wildlife, flora and fauna this open air botanical gardens with riverside trails allow visitors the chance to have an up close, intimate experience with nature. 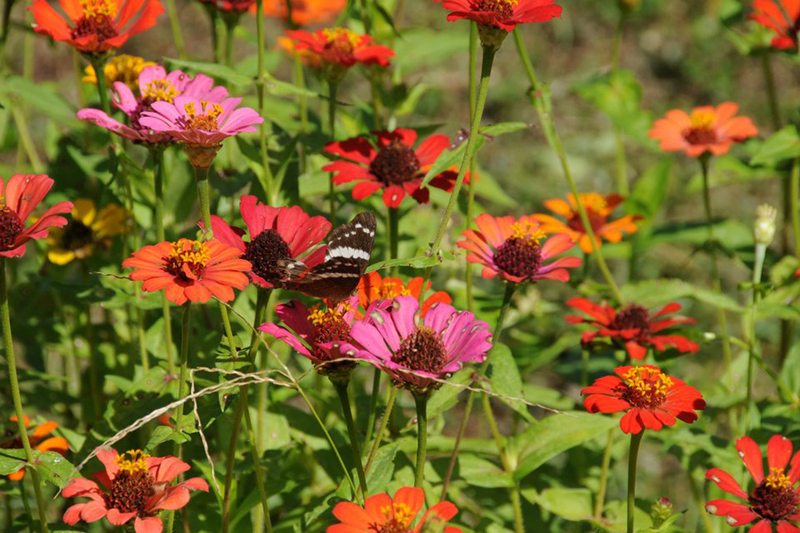 Butterflies, hummingbirds, bats, bees, termites, iguanas, birds are just a few of the things you will see as you take a private guided three-hour tour with Entomologist Mike Malliet. Half way through your tour, take a break from the sun and enjoy a cold drink and a unique “Honey Tasting”. $20 US per adult, $10 US per child under 12. Entomologist guide, beverages. The Cabo Blanco Nature Reserve is located at the extreme southern tip of the Nicoya Peninsula and accessible via the “Beach Road” during the dry season, depending on the Tides. It is one of the most scenically beautiful areas of Costa Rica and holds a special place in the history of National Parks in Costa Rica as it was the country’s first protected area, established in 1963. Due to the fact that the park is located in a transition area between the dry and wet forest, there is ample diversity in the flora and fauna as well as the local wildlife that enjoys the 1,172 hectares of protected and preserved lands.